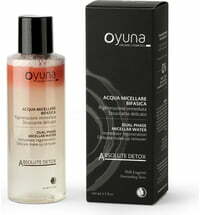 Oyuna represents a uniqueness, innovation, selected ingredients and luxury. 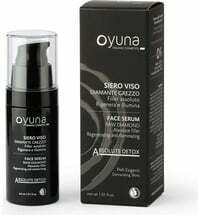 The Italian brand boasts a line of effective natural cosmetics developed to restore natural beauty. Each product line is certified by NaTrue and has been dermatologically and heavy metal tested (chromium, nickel and cobalt). The raw materials used are specially selected by the brand and are absolutely edgy - crystals obtained from raw diamond, quartz, ruby and other precious gemstones. All their products can be combined with one another to achieve a gorgeous skincare ritual and spa-feel.